When you think moving in the winter, you may think it is a special form of torture placed upon those who have bought a Collingwood home in the off-season. But, there are many perks associated with not just buying a home in winter, but moving into it. 1. Your competition has died down. Winter is considered to be the off season when buying a house in Collingwood. 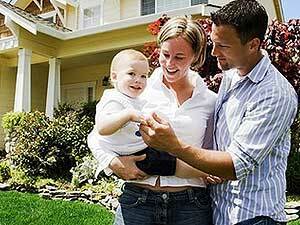 This means that there may still be good inventory on the market, but not as many buyers looking to buy a home. Why is this important? Because you may be the only bidder on a home and that gives you lots of negotiating room. 2. Similarly, your real estate agent won’t be busy. During the peak times of spring and summer, your real estate agent is definitely going to be on the move. That doesn’t mean she won’t have time to help you buy or sell your Collingwood home, but her schedule may be more limited. When buying a Collingwood home in the winter, her availability may be much more open. 3. Another great perk of buying a home in the winter is that the sellers may be motivated, again giving you that good negotiation room. If their home has been on the market since the peak time, they are probably not ready to wait until spring to sell. They are going to want to sell their house now and move on and you can definitely capitalize on this. 4. As for moving, you know it won’t be hot during your move. Think about an August 1st move-in date and how not only are you sweating, but your boxes are too. You don’t have to worry that things in your boxes are melting or getting wrecked and you won’t suffer heat stroke either. 5. Rental trucks will be available, and they may even be cheaper. Trying to get a rental truck or movers during the peak season is never any fun, and the exorbitant rates they charge aren’t either. On the other hand, securing movers during a January or February move is usually very easy and there will probably be discounts associated because its winters. 6. While the landscaping may be covered in snow, the rest of the house will be turned on for your viewing. What this means is that it will be easy to see how the heating systems are working and what issues winter causes for each home that you view. Basically, you can assess the home’s winter fitness. 7. You can check out how your neighbours upkeep their homes in the winter. 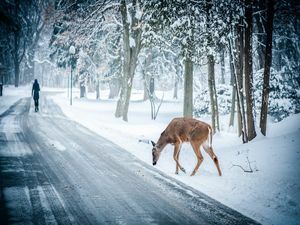 It will be very easy to see how well a neighbour takes care of the exterior of their home in the winter, by if their driveway is plowed or shoveled and if they decorate or leave their yard a blah canvas. This may be important for you as a homeowner, as it could affect your resale value down the line. As well, who wants neighbours who don’t take care of their home? If you are looking for that perfect Collingwood home this winter, talk to me.